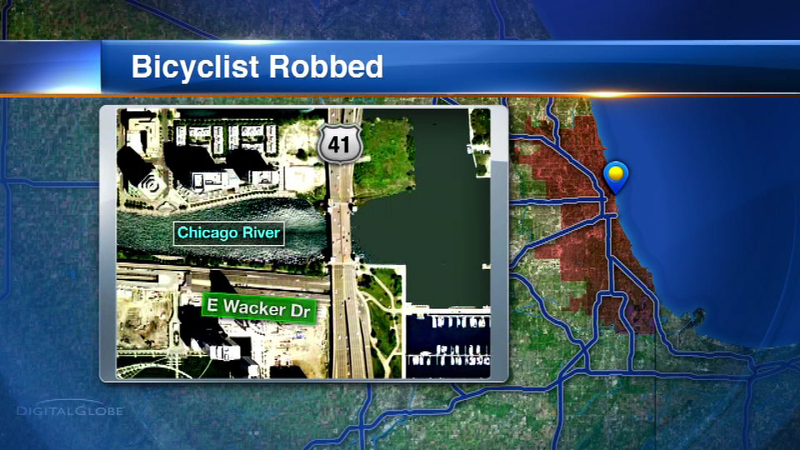 A woman out on the Lakefront Trail bike path Thursday morning says she was knocked off her bike, and then her attacker made off with the bike. CHICAGO (WLS) -- Chicago police are searching for a bike bandit who may have struck twice for the second time this week. She told police it happened on the Lake Shore Drive bridge over the Chicago River. She was not seriously injured. Police said a similar incident happened earlier this week.